The fourth post in a five-part series. 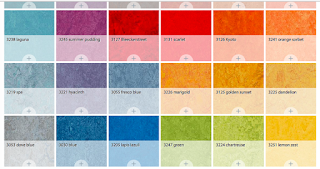 Countertops: The most common kitchen countertops of the era were Formica. (Fun fact: Didyou know Formica means ant in Latin?) Those old Formica counters often had a metal trim edge. I like Formica in this setting. The continuous surface looks clean. I'm not a fan of tile countertops, although they were often used in the bathrooms of the era. All those joints house grime and are very hard to keep sanitary. I prefer a solid surface. 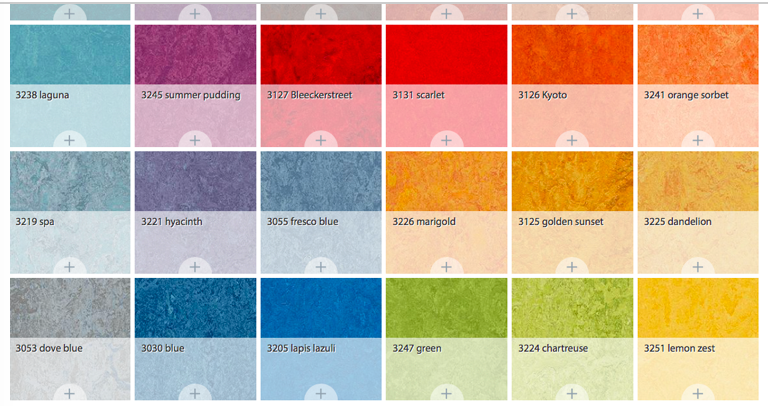 Thin, squared-off countertops in quartz and new Formica are excellent replacements for old, worn-out laminate. The same goes for bathroom countertops. I also like unusual materials that include a lot of recycled content. Consider this, however: If the original Formica or other vintage laminate in your MCM house is in good shape and not a color that makes you queasy, consider keeping it to underscore the authenticity of the original design. The funky “retro” factor is another reason to keep it. For example, Some MCM houses come with laminate countertops emblazoned with gold speckles, starburst patterns, or little boomerangs (as pictured above). If you’re really lucky, your MCM house comes with GE Textolite laminate from the 1960-65 period (vintage ad below). If these cool vintage countertops are in good shape, I strongly suggest treasuring them as delightful relics from a delightful era in design. They really show your house’s authenticity. • You may be the proud owner of solid wood kitchen cabinets that have been around for 50 or 60 years, rather than brand-new, particle-board-laden, formaldehyde-gassing, wood-veneer cabinets. • After World War II, plywood was a new, exciting, and affordable material, so there’s the historical aspect. It’s one of my favorite materials due to its incredible flexibility (including bend-ability) and beauty. If you must replace the old kitchen cabinets, I recommend flush overlay cabinets in natural wood. (No raised, “Shaker” or recessed panels, please!) The smooth planes and crisp lines are perfect complements to any MCM home’s kitchen and suit the “unpretentiousness” that runs throughout the millions of modest mid-century homes across the country. In Part IV we’ll look at MCM kitchens -- countertops and cabinets – and consider what to keep, what to update, and why. ARIELLE CONDORET SCHECHTER, AIA, is a licensed, registered architect based in Chapel Hill, NC, who specializes in Modernist, energy-efficient buildings with a focus on passive houses, NET ZERO houses, her new tiny-house plans known as the Micropolis® Houses, and mid-century modern renovations, remodeling, and additions. For more information: www.acsarchitect.com. 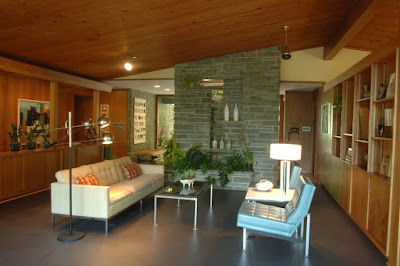 As I’ve mentioned in previous posts, mid-century modern (MCM) designers almost always brought the brick, stone, and wood from the exterior into the interior, just as Raleigh, NC, architect F. Carter Williams did in his own amazing home (above) with the blue stone and lovely wood-clad walls and ceiling. If the MCM house you buy has interior masonry and wood, what should you do? Should you leave it as-is? Does it need cleaning? Should you paint it? 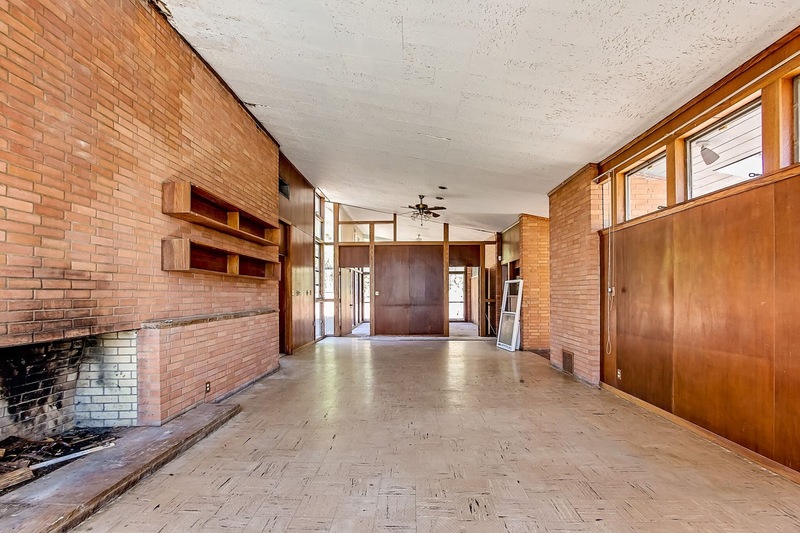 If you want to honor the architect’s original intent for your mid-century modern house, you won’t even consider painting it. Of course, brick and stone can be stained and discolored by water leaks, smoke from a fireplace, etc. If yours needs cleaning up and it’s good quality material, I recommend sandblasting it. The same goes for the wood and wood paneling that many MCM architects used to sheath walls, ceilings, built-in cabinets, sometimes built-in furniture, and exposed roof beams. If your house comes with quality wood paneling – such as the warm Philippine mahogany plywood Joseph Eichler loved (left), and even the more rustic knotty pine – resist the urge to scrunch up your nose because it’s “so dated.” Wrong. It’s as intrinsic to MCMs as flat roofs and open floor plans. It adds texture and warmth to sleek modern design, so it’s definitely worth keeping if you want to maintain the original ambiance of the house. On the other hand, if your MCM has been the victim of the cheap wood paneling that many builders talked homeowners into back then, you have my blessing to rip it out. Of course, even the highest quality interior wood might bother you because it’s so dark, which is either inherent to the type of wood used or the result of years of darkening. If it’s solid stained wood – not a veneer -- you can have the stain removed and replaced with something lighter. And you can have knotty pine sanded to banish the darkened effect then finished with a clear coating. Let me digress briefly with a differing opinion about whether or not it's OK to paint dark paneling or dark wood interiors. This comes via my father, Jon Andre Condoret. He was a highly respected mid-century architect who emigrated from Algeria to North Carolina in the early 1960s. In his later years, he mentioned to me quite often that he felt all the dark woods he used on those mid-century projects could benefit by being painted white. He was a convert to light, white interiors, mainly for the brightness and light reflectiveness they imparted. He felt it was perfectly OK to paint. He is the only architect I ever heard admit this, but his opinion carries a lot of weight with me. need to be replaced – among other issues. Flooring: Vinyl composite and linoleum floors were extremely popular in the mid-20th century. So was terrazzo. The vinyl composite floors of the mid-century were often were made with asbestos. A word of caution: Almost all of the MCM houses I’ve worked on contained asbestos in some form. It is better to leave it in place than to try to remove it yourself, as removal causes fibers to escape into the air you breathe. Always get an asbestos abatement company to come in and remove the product for you. Some of the common offenders include pipe insulation, composite ceiling panels, and, yes, those vinyl composite tiles I mentioned above. Vinyl composite has fallen out of favor over the decades, but linoleum is a wonderful material and my personal favorite is Marmoleum by Forbo (below). The colors are gorgeous and it’s a green material made of sawdust and other natural components. You can still get terrazzo poured, but it’s a very expensive material. If your MCM house already has terrazzo flooring, thank your lucky stars! Of course, hardwood floors are always a great and appropriate replacement for old flooring materials.